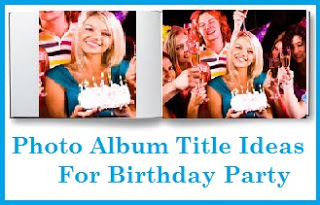 The big 5-0 is the age where people decidedly accept their age. It's pretty much okay to poke fun yet you can also give them your sincerest wishes on their special day. 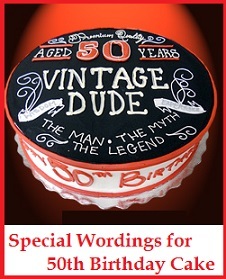 Read on to find the perfect heartfelt birthday cake message for 50 years old birthday boy or birthday girl. 1. Who new 50 could look this Good! 2. Looking Preety Nifty At Fifty! 3. Still Awesome at 50! Happy birthday Dude! 4. Older is always better. Happy 50th birthday! 5. Happy 50th birthday! Who's counting anyway? 6. Happy 50th Birthday. Wishing for a Wiser you! 7. Funny! Foxy! And Fifty! 8. You're 50. Be carefree & wild! Happy birthday! 9. Happy 50th birthday, old man! 10. Happy 50th birthday! You're still way younger than 60. 11. 50 Rocks! Vintage Dude! 12. Welcome to the new frontier. Happy 50th birthday! 13. This should be fun! Happy 50th birthday! 14. 50 years, 50 birthdays. Now that is old! 15. Fab at fifty, that's you. Happy birthday! 16. Happy 30th anniversary to your 20th birthday! 17. Happy 50th birthday! Smile while you still have teeth. 18. 50 is Five Perfect Tens! Happy Birthday! 19. 50 years, 50 cheers to you! Happy birthday! 20. Still looking nifty at fifty. Happy birthday! 22 You made the Big 50! 23 Half Way to Hundred! Enjoy your 50 Dude! 24 Fifty and Loving It! 25 You are not Old - You are Vintage at 50! In this day and age, reaching the age of 80 is quite remarkable. People who have reached this age would have practically seen it all. Giving them greetings should be simple yet sincere since they are very discerning and wise. 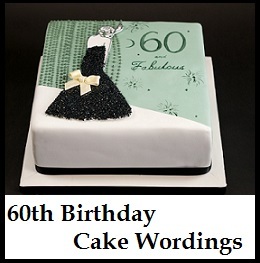 Here is a list of unique birthday cake wordings for 80th Birthday Boy or Birthday Girl. 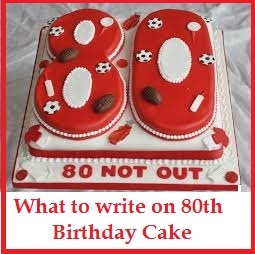 Write your 80th birthday cake message fun and light but straight from the heart. 1. Have a wonderful 80th Birthday Boy! 2. A Handsome Boy has turned 80! 3. Happy 80th birthday! Live long and prosper! 4. Cheers to yours 80th birthday! 5. You get better with age. Happy 80th birthday! 6. 80 & Not Out! Happy Birthday! 7. 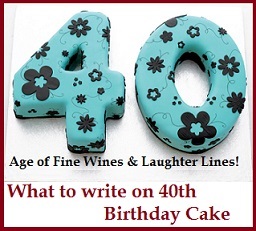 This is the second time you're celebrating 40! Happy birthday! 8. Still fab at 80. Happy birthday! 9. Eight decades and you're still as lovely. Happy birthday! 10. Wishing you all the happiness on your 80th birthday! 12. Have a fantastic 80th birthday! 13. Let's celebrate you on your 80th birthday! 14. Amazing Lady has turned 80! Happy Birthday! 15. You're still young at heart in your 80's! Happy Birthday! 16. Wishing you a glorious & wonderful 80th birthday! 17. Wishing you all the love & joy. Happy 80th birthday! 18. Happy 80th birthday to the best dad in the world! 19. Yes, you're still fabulous on your 80th birthday. Let' have some fun! 20. Happy 80th birthday to you, wise old man! 21 It took 80 years to look this Good! Happy Birthday! First birthdays are always special and everyone involved are all excited to share this moment. 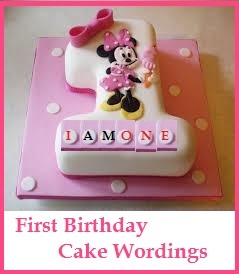 Your birthday cake greeting may not be read by your angel or princess on the first birthday but your child will surly enjoy seeing the photos of the first bithday with a unique and special birthday message. 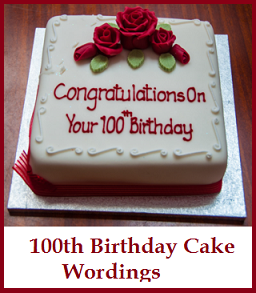 Here are some great suggestions to make the first birthday cake extra special. 1. 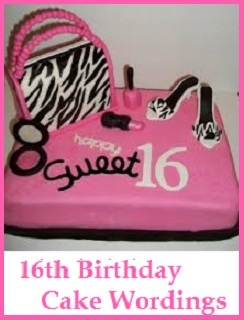 First Happy Birthday Bash! 3. I am One today! 7. My first trip around the sun! 8. Happy 1st Birthday to the sweetest Birthday Boy! 9. Happy 1st Birthday to the cutest Birthday Girl! 10. Happy 1st Birthday to our Bundle of Joy! 11. Take your time growing up. Happy first birthday! 12. Happy 1st birthday! Don't grow up too fast! 14. Happy 1st birthday to you our dearest Mark! 15. Happy 1st birthday! God bless you! 16. Happy 1st birthday to our precious little girl! 18. This is just the beginning! Happy 1st birthday! 19. Happy 1st birthday to my lovely nephew! 20. Wishing you a blessed 1st birthday!